HOLDEN, LA – US Fire Pump is excited to announce our newest HVP6000 for fire apparatus applications. Available in midship or rear mounted applications. This single volute fire pump tested above any NFPA1901, fire truck mounted pump on the market today. Testing was validated by Underwriters Laboratory and witnessed by the Office of Louisiana State Fire Marshal. The HVP6000, mounted in a new Ferrara Inundator Super Pumper, achieved a flow of 6256 gallons per minute (23,681 liters per minute) at 125 psi (8.62 bar). Chris Ferrara has always been known as an innovator and his newest line of firefighting equipment holds true to that statement. 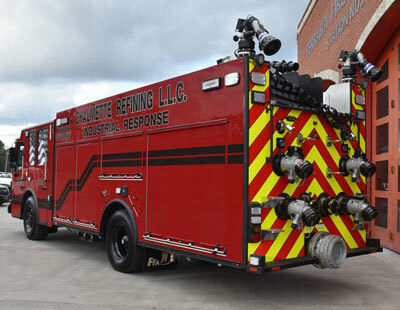 “This new pump is another first for the fire apparatus industry. We were the first apparatus fire pump manufacture to hold the Guinness World Record in 2015 and our newest pump exceeds our previous pump by 764 gallons per minute at 7 PSI higher”, said Ferrara. US Fire Pump has many pumps in service around the world and have proven to be a dependable name in this industry. US Fire Pump’s newest innovation will be unveiled this Thursday at FDIC. Come check it out at Booth# 4500.